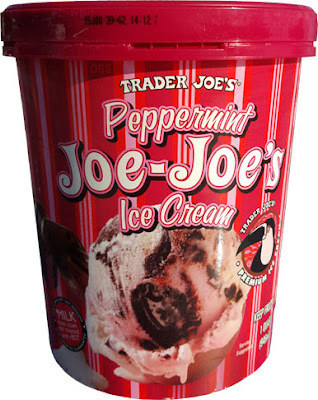 Oh, FYI, this is not a new thing, it's at least five years old, it's just that I don't visit Trader Joe's enough to always notice these things (but thankfully Powered by Ice Cream did). 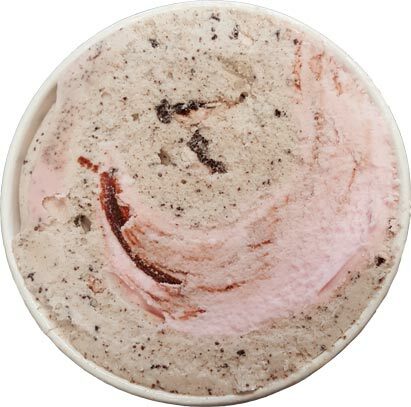 CORRECTION: Since Winter 2010, stores have carried "Candy Cane Joe-Joe's Ice Cream" that was just the C&C side of this flavor. Thanks to Juli for double checking my facts! Well, isn't that different (for a mint flavor). There are two flavors of ice cream swirled together! (admit it, like me, you didn't actually read the description before opening the container). I scrape the lid and get excited. I guess we should try them one at a time to start right? Oh man, I just got a whole cookie. Bahahahah #FunFactor. Anyway, the ice cream, yeah, it's fine, it's a little not-dense, almost watery the way it melts on your taste buds. I don't mean that in a mean way, it's a clean breakdown, it's just not super dense. And now the peppermint. Hmmmm. 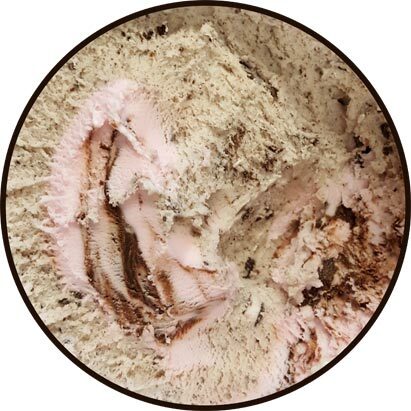 It's like a peppermint buttermint, but the fudge gets in the way of that flavor. To be honest, I'm not sure how I feel about it. And finally, a mix of both.... hmmmm. And another bite, this time with cookie bits, ahhh, better. I'll be honest, I would have been happy with just the C&C half of this ice cream with maybe a hint of mint in the base. So at this point it's definitely a decent ice cream, but I'm going to hold off final judgement for now until a get at least another serving in me. On Second Scoop: I spent all weekend thinking about this one and running through the highlights in my head (the cookies in particular), but now that I've had it again, well, yeah, this one is kind of weird. 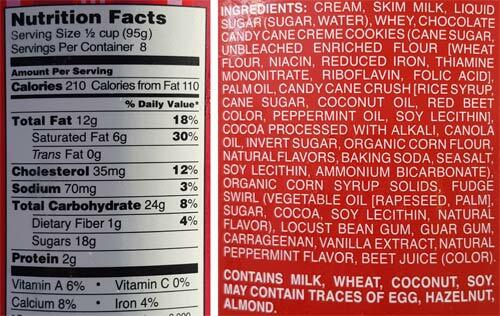 Separately, we have two decent flavors, but put together, this just doesn't make a whole lot of sense to me. The buttermint side with the watery C&C side is just... disappointing I guess is the best word. It's not terrible mind you, it's just more frustrating than anything. 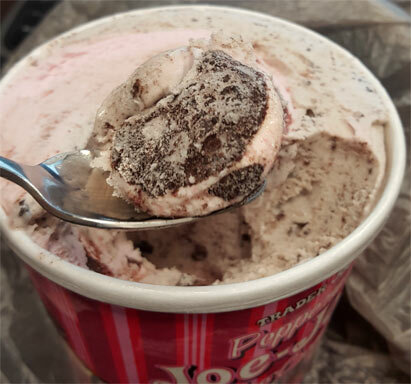 If you have a Weis near you get their limited edition Peppermint Stick ice cream. So good.